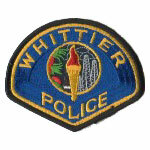 Six Whittier police officers have filed a retaliation lawsuit against the City of Whittier for refusing to participate in a traffic ticket and arrest quota system the officer’s claim is illegal. The lawsuit alleges that the WPD imposed an unlawful citation and arrest quota in violation of California Vehicle Code Section 41600 on its officers. The plaintiffs, Officers Joseph Rivera, Jim Azpilicueta, Anthony Gonzalez, Steve Johnson, Nancy Ogle and Mike Rosario, refused to participate in the unlawful citation and arrest quota. Rivera has been with department since 1995, Azpilicueta since 1999, Gonzalez-2008, Steve Johnson-2006, Nancy Ogle-1991 and Mike Rosario since 2003. The lawsuit alleges that, starting in 2008, the WPD illegally compared officers using shift average number of citations and arrests as a means of determining a benchmark for performance. WPD then retaliated against those who refused to participate. The officers repeatedly complained about the quota up the chain of command to their immediate supervisors, their division supervisors, and to the Internal Affairs Division of the WPD. They were ultimately subjected to multiple and repeated adverse actions, including negative and disparaging language and comments in their permanent files, unfavorable documentation, unwarranted counseling sessions and transfers, increased scrutiny, and threats of termination in official documents if they did not meet the quotas. The lawsuit alleges physical, mental, and emotional damage and is suing for loss of wages and other economic damages.